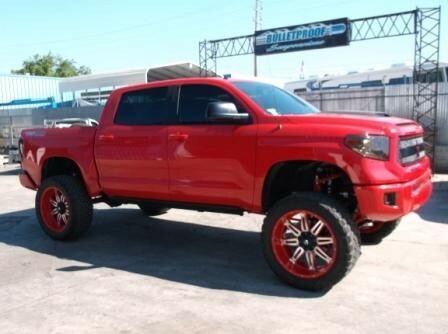 Fits 2007-2019 Tundra 2WD/4WD Regular/Double Cab & Crew Max short/long bed. 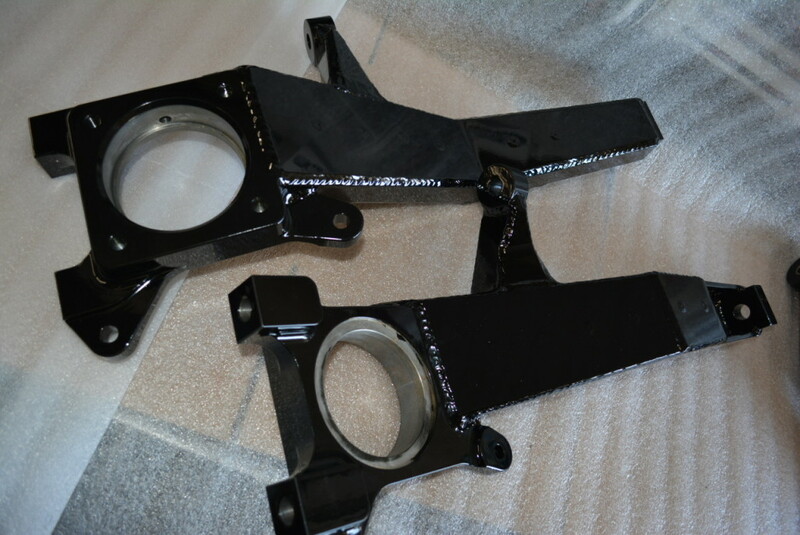 All parts are covered in high quality gloss black powder coat. (color upgrades available). Factory wheel base and track maintained. Improved ride & handling from factory. 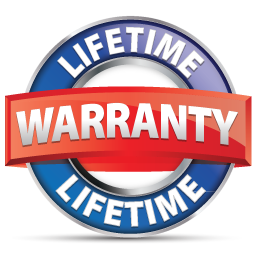 All Bulletproof manufactured parts are covered by a lifetime transferable warranty. 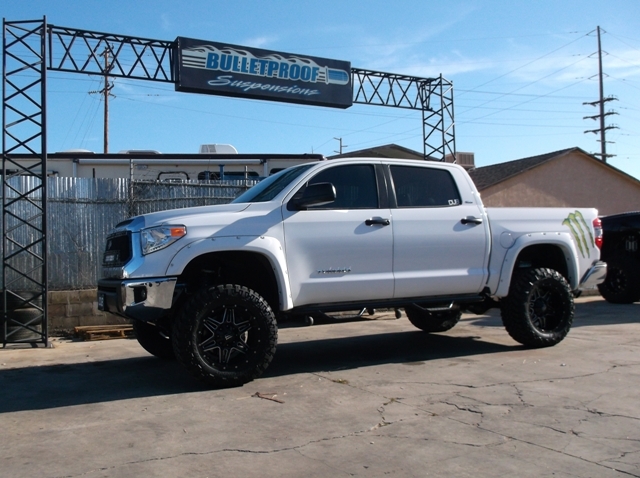 Bulletproof Suspension has added yet another kit to the line up, With the great successes of the Bulletproof Suspension’s Toyota Tundra 10-12 Inch Lift kit we are excited about the release of the Toyota Tundra 6-8 Inch Bulletproof Suspension Lift Kit. This kit still includes all the great features as the 10-12 Inch Kit. 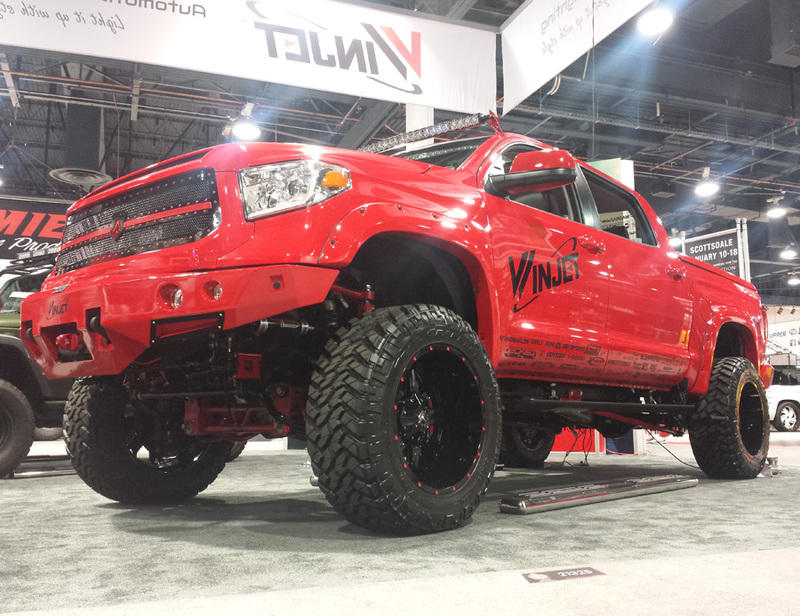 The 6-8 Inch kit will work on the 2007-2017 Toyota Tundra 2wd and 4wd models, and just like the 10-12 Inch kit its all bolt on. (Minor cutting required) There is NO welding required with this kit. 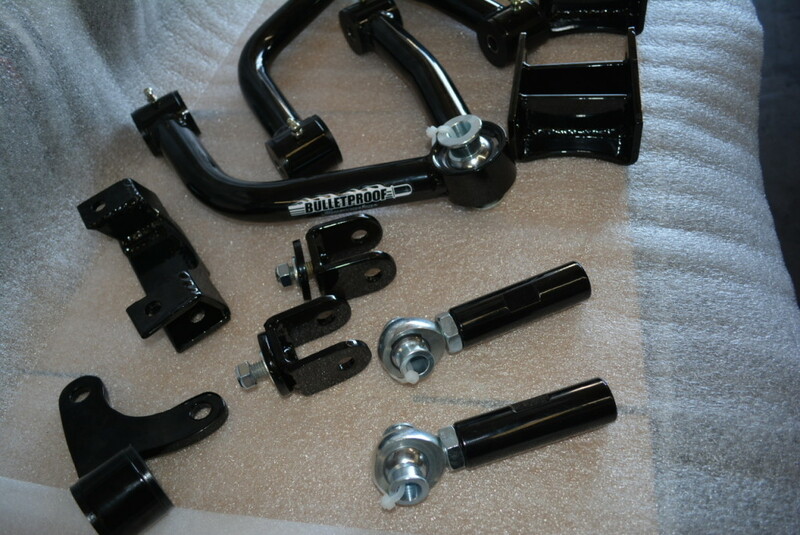 The complete kit will included new Uniball upper control arms, heavy duty spindles, and massive once piece cage and high quality Chromoly Heim joints to replace those factory tie rod ends. 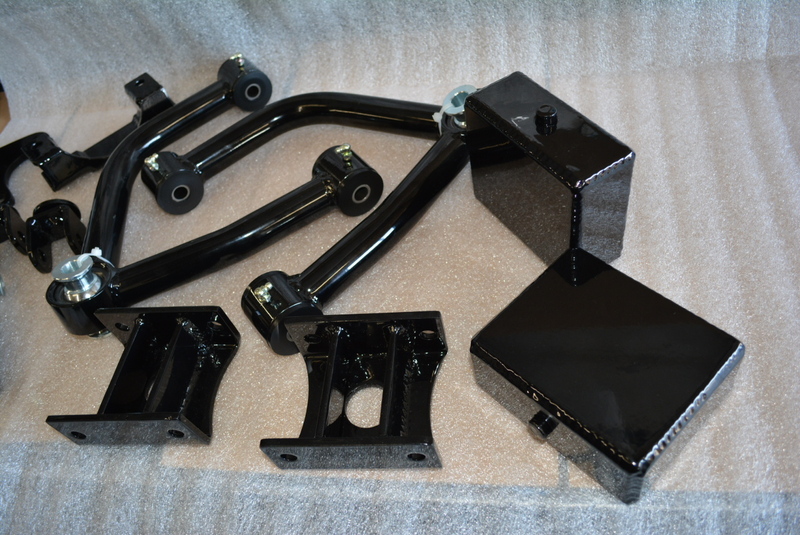 With many upgrade available like the Bulletproof Suspension coil overs and springs, Remote Reservoir shocks and full 6″ over stock Atlas leaf springs this kit has it all. 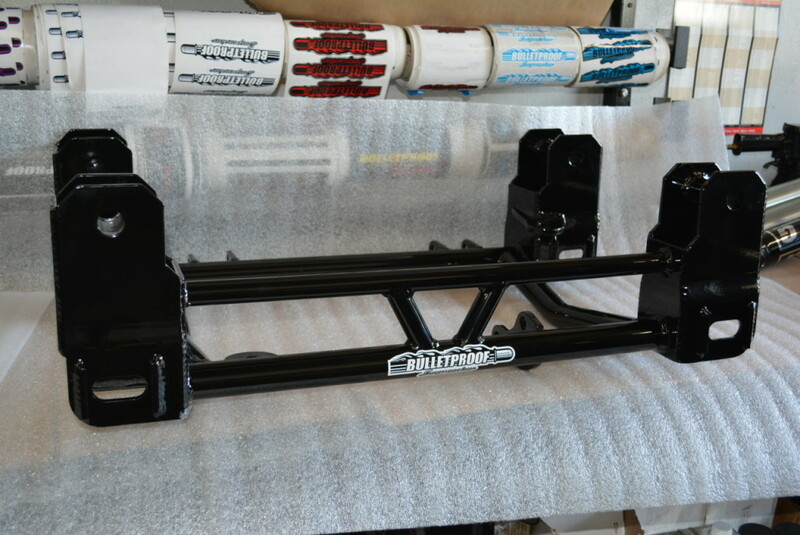 To finish off this already great kit all the Bulletproof Suspension made parts are cover in a glossy black powder coat, so out of the box its ready to be installed. 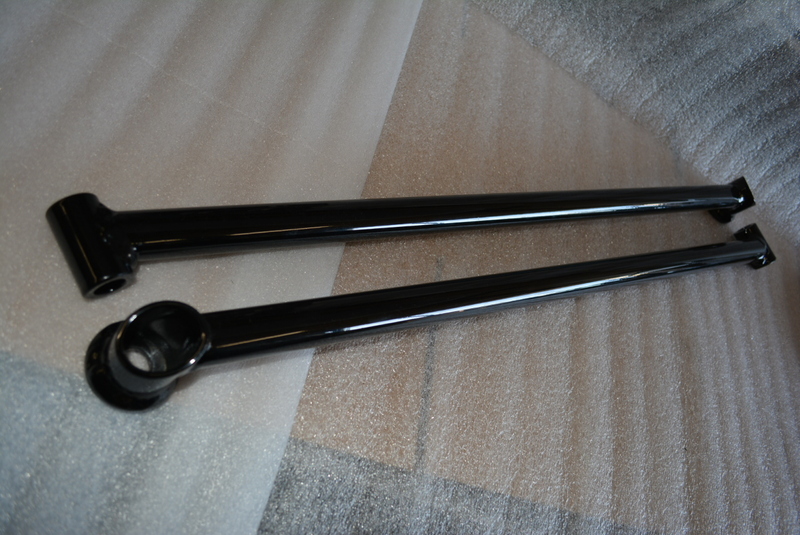 We also offer custom powder coat colors upon request. Shipping and any Taxes that may apply are not included in above prices. Send us a message and we will get back to you as soon as possible! Copyright © 2017 Bulletproof Suspension Inc.